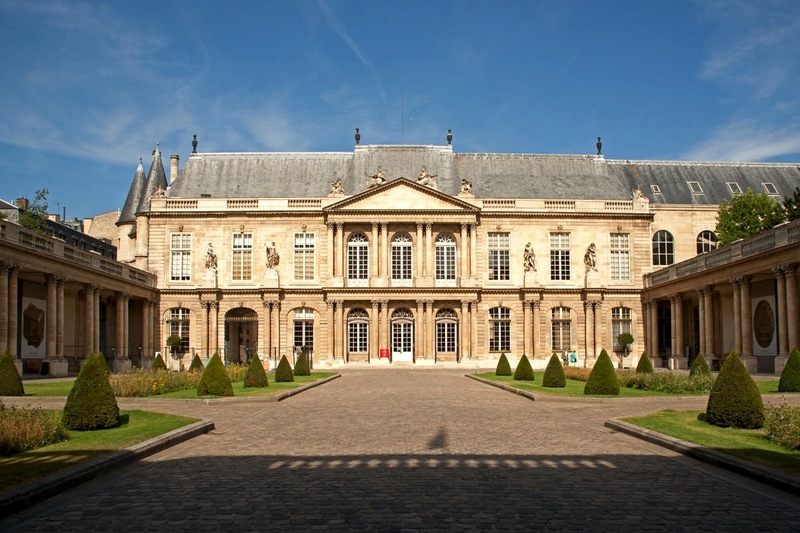 Known since medieval times as “The Swamp,” Le Marais is a museum of architectural styles. Focusing on lesser-known buildings, Patrick de Belioux guides us through the chronology and helps us decipher these stunning facades. By Patrick de Belioux for The Paris Times. During the late Middle Ages, Paris was divided into many small parcels, with narrow houses tightly erected against one another. Le Marais, or literally The Swamp, which has retained its name to this day and now comprises the 3rd and 4th arrondissements, was once covered with tiny irrigated fields that produced vegetables for the city. In the 16th century, when noblemen and the bourgeoisie were looking for plots large enough for their residences, they turned to this part of town, which wasn’t developed yet. Through the 18th century, they built magnificent hôtels particuliers - large one-family houses - many of which resembled genuine palaces. 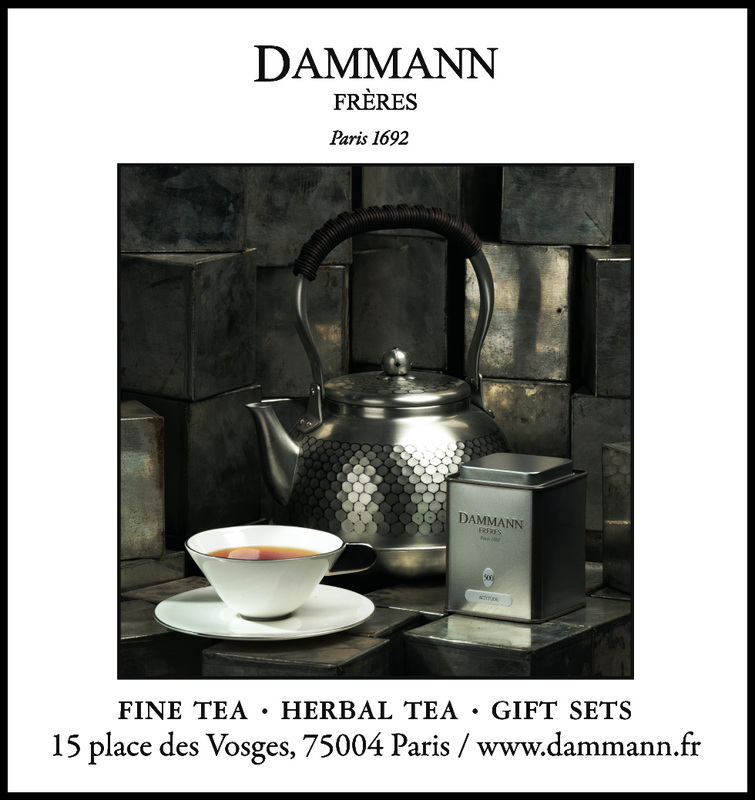 Thus, throughout the centuries, Le Marais gradually came to offer one of the richest architectural ensemblages in Paris. Today, a bounty of designer shops, fascinating museums, a lively gay district, and the old Jewish neighborhood vibrate with French architectural history as a backdrop. 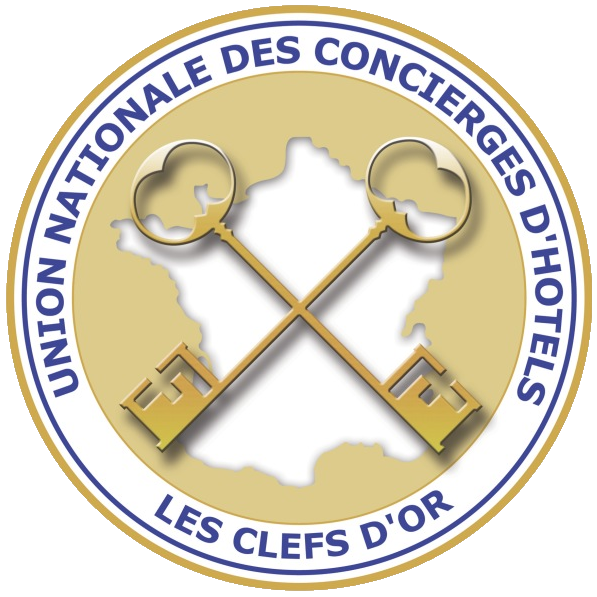 Although access to notable hôtels particuliers is often limited by digitcodes, it is still possible to explore this architectural banquet and to train one’s eyes to discern the various styles. Starting our chronological tour on rue François Miron (n°11-13) and at the corner of rue des Barres and rue du Grenier-sur-l’Eau (literally “granary above water”), stand three typical medieval houses, the latter erected in 1327. These gabled houses are narrow, with only two windows per floor. Their sides protrude from corbelling and their facades end with triangular pediments and are topped with high pitched roofs that allow rainwater to drain down the sides of the buildings. These houses are easily recognizable thanks to their half-timbering which was uncovered, relatively recently, during restoration work in the 1960’s. In fact, in 1607, Henri IV (1589-1610) ordered that visible wooden elements be covered with plaster as a means of fire prevention. Continuing on to rue Saint Antoine, one can still spot various little buildings with such two- window facades and gables, rebuilt or transformed on their original narrow plots. It’s time to move on, architecturally-speaking. Despite its rather late construction date, 1624, the stunning hôtel de Sully at 62, rue Saint Antoine, provides a remarkable example of the Renaissance style with a profusion of adornments. Curious visitors must enter the courtyard to admire its bas-reliefs, then walk across into the second, bigger courtyard, and finally follow the inconspicuous little corridor on the right that leads directly into place des Vosges. 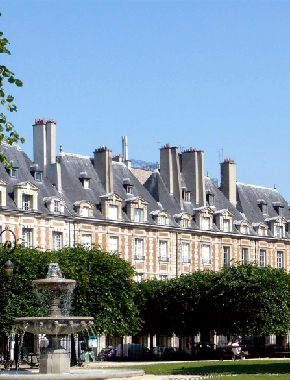 Place des Vosges is Paris’s first major architectural ensemble, that is, where the whole is more impressive than its parts. Originally known as place Royale, Henri IV ordered its construction in 1605. (Other well-known squares such as place des Victoires or place Vendôme were built much later under Louis XIV (1643 -1715) and place de la Concorde, during the 18th century.) 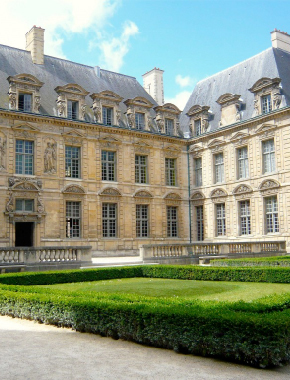 Compared with its neighbor, the hôtel de Sully, place des Vosges is restrained: three stories, steep slate roofs à la française, and red brick facades (sometimes covered with stucco painted to imitate brick) whose corners are edged with quoins in the same white stone that frames the windows. These architectural elements are typical of the beginning of the 17th century. 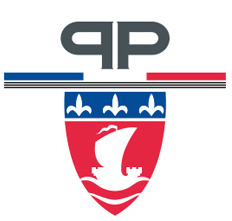 They can be also been seen in place Dauphine on the Ile de la Cité, as well as on a few houses on rue François Miron (n°44 and 46) that were built in 1585. 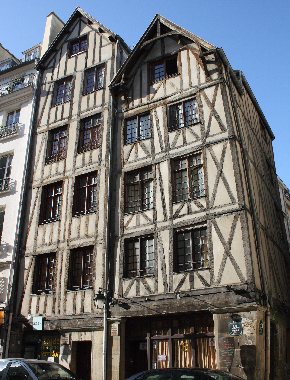 Another good example is the hôtel de Mayenne (1606) at 21, rue Saint Antoine, whose center part shows unmistakably what the Marais looked like before it was restored! 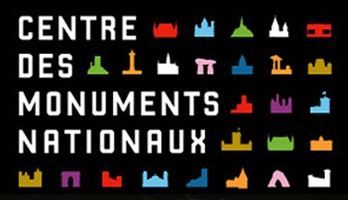 Rue François Miron is, in fact, a museum in itself of Paris’s various architectural styles. The fine-looking hôtel de Beauvais, at n°68, dates from Louis XIV’s youth (1655). 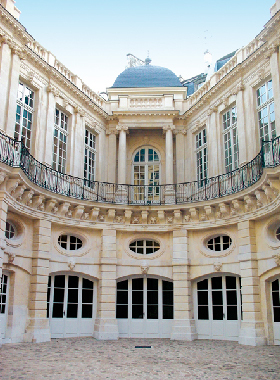 Its inner courtyard, even more spectacular than its street facade, was conceived as an elegant theater set, which perfectly illustrates the restrained baroque style, so typical of French taste at the time. By then, brick had fallen out of fashion, replaced by limestone; as had the white stone quoins, replaced by horizontally-articulated pilasters. At n°82, the hôtel Hénault de Cantobre, another beautiful Louis XIV facade (1704) seems subdued by the adjacent buildings. 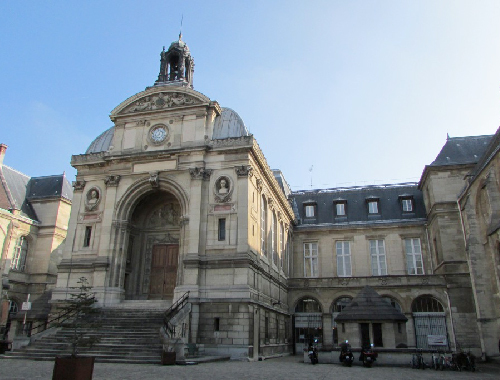 Turning onto rue de Fourcy, it is possible to admire the back of this monumental structure, which currently houses the Maison Européenne de la Photographie. It was around this time that a new style emerges: the top of the windows isn’t rectilinear anymore, but start to arch a bit. The restrained straight lines fashionable under Louis XIV give way to curves and asymmetric fancies under Louis XV (1715-1774). 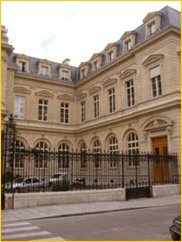 Back on rue François Miron near where we first started, the large group of buildings between n°2 and n°14 dates from 1734. Since the ground floor boutiques were meant to be rented even back then, the aspect of the buildings is rather sober at street level. 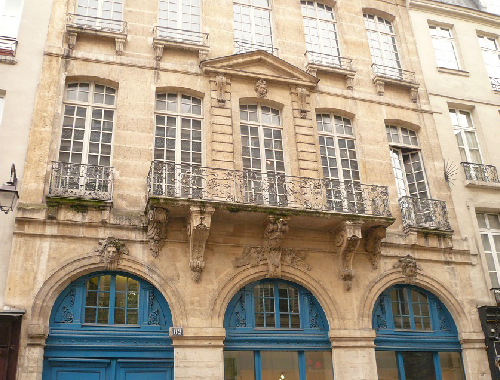 Several elements, however, are typical of the Louis XV style: above the door at n°2, for instance, an old man’s head (an allegory of Time) hovers in an asymmetric cartouche, the windows are arched, and the wrought iron of the first floor balconies looks rather tormented, representing an old elm from the nearby square. The building at the corner of rue des Barres and 14, rue François Miron, is even more spectacular. Further up the street, at n°42, a house dating from 1742 displays a beautiful wrought iron balcony and the head of Hercules above the small archway. 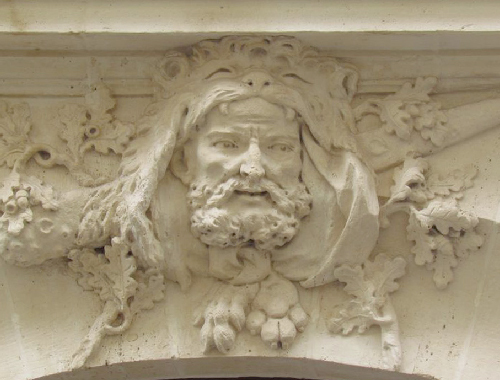 There is a similar Hercules sculpture at 12, rue de Jouy on a 1743 building. The ornamental brackets holding up the door’s lintel are lively and asymmetric, typical of the rococo style that flourished under Louis XV. 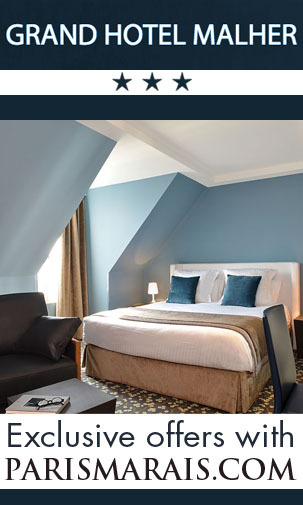 The hôtel du Grand Veneur (the person responsible for royal hunting parties), at 60, rue de Turenne, has the comical advantage of being rented by a furniture and plumbing supply showroom: pretending to look for a bathtub, visitors can peak at the marvelous staircase with a wrought iron banister decorated with hunting themes. Go around the block by rue Villehardouin, then rue de Hesse to see the facade facing the garden which sports a wild boar head. The exuberant decorative fancies that flourished under the “Beloved King” (Louis XV) disappeared under Louis XVI (1774-1789). With Louis XVI, architecture became serious and sober again, similar to the taste in vogue under Louis XIV, but a little heavier and overblown. L’hôtel Le Mayrat (1767), at 26, rue des Francs-Bourgeois, is a good example of this neoclassic style. Strolling through Le Marais is more than just the physical experience of putting one foot before the other and taking in the visual pleasures along the way. Le Marais is a miracle in itself - that it even exists in today's Paris thanks to - at least - one very influential Frenchman - for as late as 1962 it was a slum ready for razing. 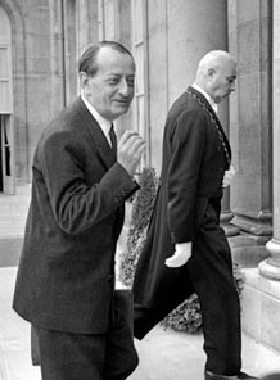 André Malraux, de Gaulle's Minister of Culture, was responsible for the passing of a bill in August of that year to safeguard certain historical sectors and protect the old centers of towns threatened by real estate promotion. 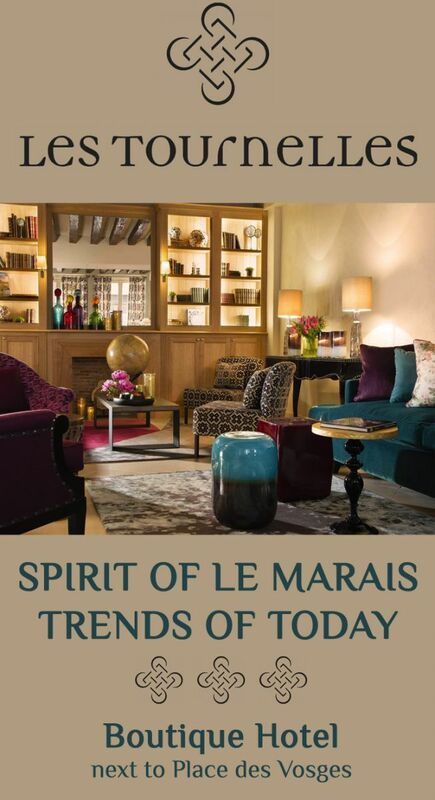 Today, Le Marais is one of Paris' chicest neighborhoods where real estate prices continue to rise substantially. 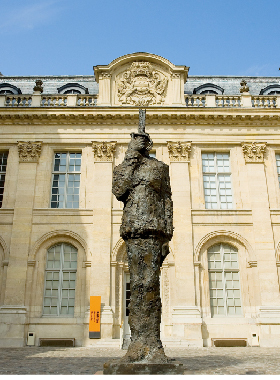 No matter what turn you take, what courtyard you venture into, what hôtel particulier you stop to admire, there is a sense of more than just the profound history, but also of the thousands of lives whose spirits live on in the Marais. I, personally hope to be one of them -as the longer I live and work here - the more attached I become to its little idiosyncrasies and distinctive personality. 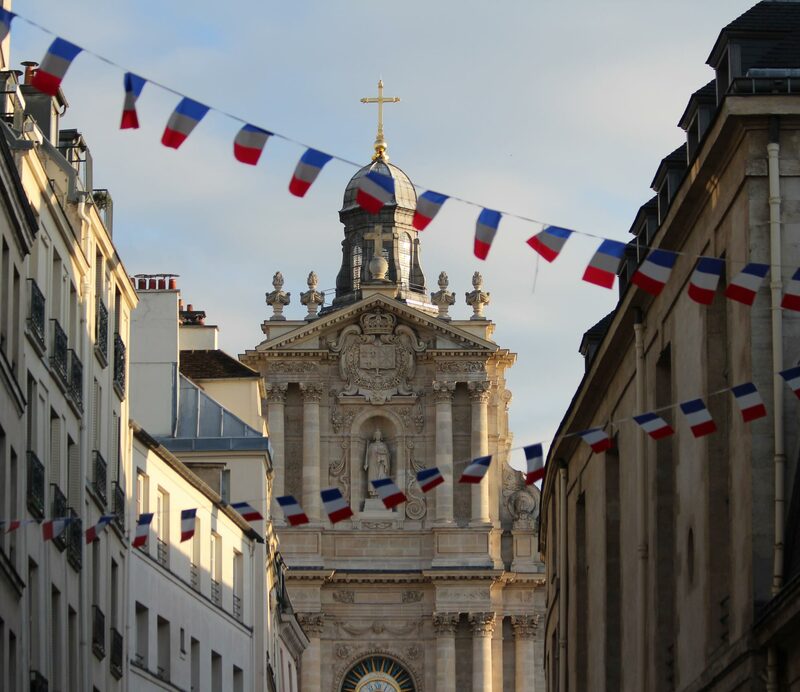 About ten centuries ago, the swamps (marais) were drained by religious communities and later, by royal deed of Louis VII, Le Marais became the "kitchen" of Paris ˆ where fresh produce was grown and sold. 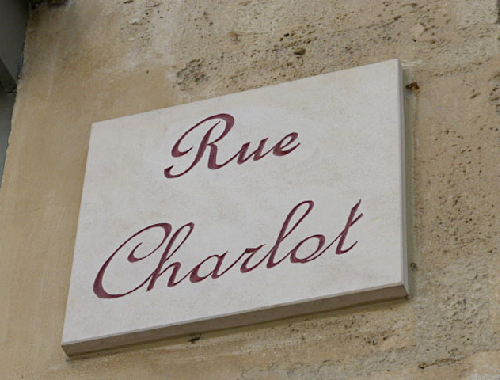 In the 14th-century, royal homes began to be established there and the first street was paved now called "rue Pavée." In the 16th-century, streets were laid to cross the fields: rue des Francs-Bourgeois, Sainte Catherine (Sévigné) and Payenne. The 17th-century is considered a golden age for the Marais when Henri IV, the first of the French town planners constructed the Place des Vosges. 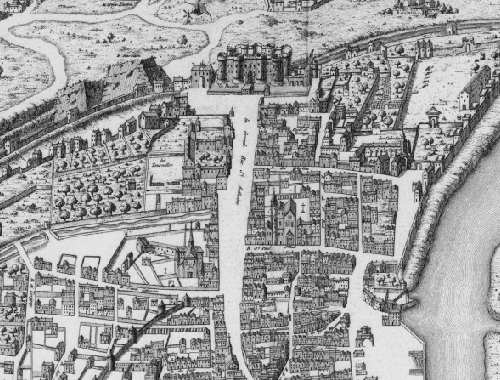 Between the 18th and 19th-centuries, the Marais was sadly neglected and in the 20th-century, it was planned to raze all the center of the Right Bank and to widen rue de Rivoli. It wasn't until the classified Hôtel de Vigny on rue Parc-Royal became scheduled for demolition that immediate intervention was necessary. 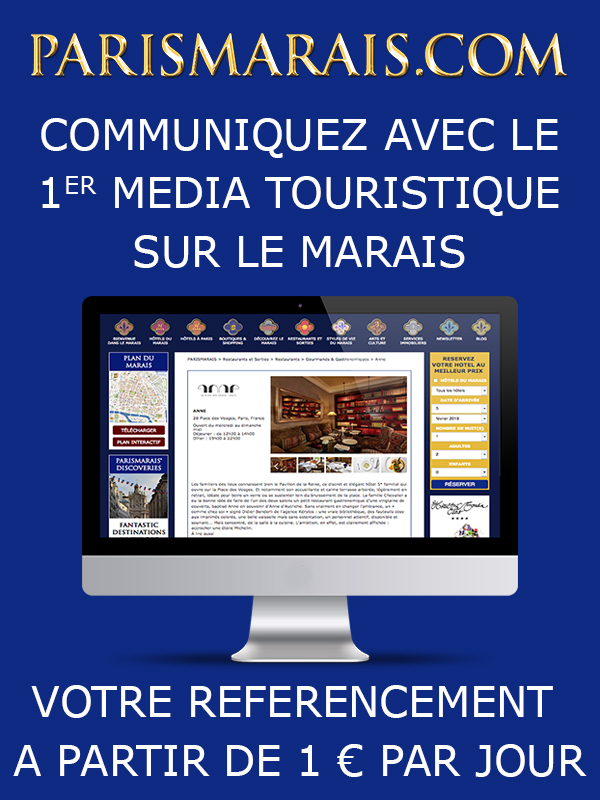 The movement and creation of the "Association pour la Sauvegarde et la Mise en Valeur du Paris Historique" encouraged Malraux to make a study and save Le Marais from destruction. 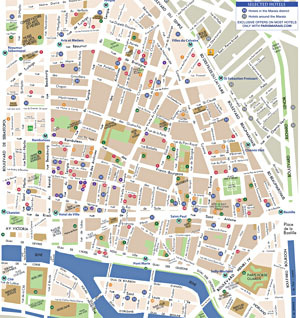 Le Marais consists of both the 3rd and 4th arrondissements of Paris, the 3rd being the northern part bordered by rue des Francs-Bourgeois on the south, boulevard Sebastopol on the west, boulevard St.
Martin on the north and the boulevards Temple, Filles du Calvaire and Beaumarchais on the east. I live in the most northern section, a quartier called "Temple" because of its history when at one time it was a state within a state owned by the powerful order of the Knights Templar founded in the Holy Land to protect pilgrims. 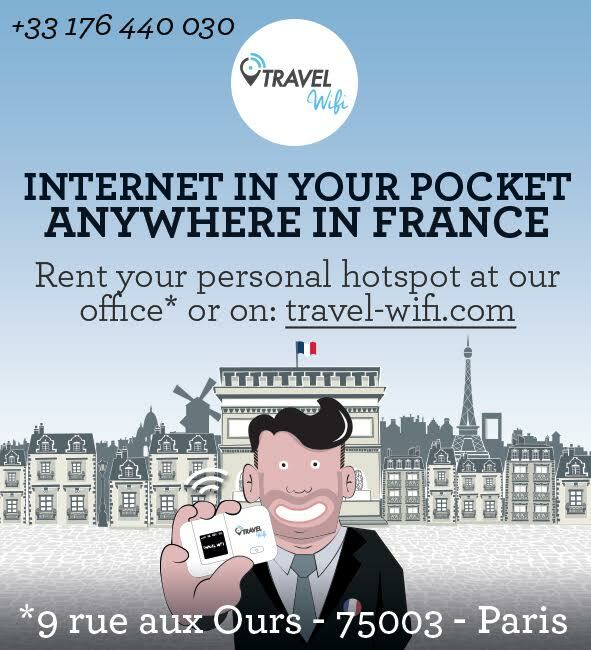 It is here where you can start your exploration of what I consider to be the most fascinating part of Paris. 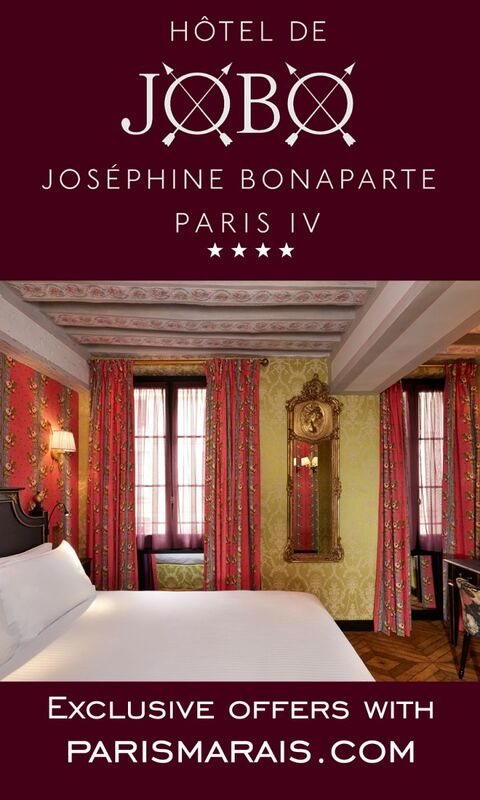 For a very in-depth historical account of the Marais and all arrondissements of Paris, I recommend having Thirza Vallois' Around and About Paris (Volumes 1, 2 and 3) at your fingertips, but for a casual stroll to take in the spirit of the lives of which I speak, you can follow my lead to my favorite spots. Placed begin at Place de la République and walk down rue du Temple, turning left onto rue du Petit-Thouars. This lovely tree-lined street leads to the Carreau du Temple, an iron structure once a marketplace and currently under renovation as "Un Espace Pour Tous" as was voted by its inhabitants the first vote of its kind in Paris. Turn right on rue Eugène Spuller to visit the Mairie du Troisième (town hall of the 3rd) and Square du Temple, one of Paris' prettiest parks. Continue to the corner of rue de Bretagne, the 3rd's main shopping street. Just there across from the Mairie at number 47 is Chez Omar, one of the neighborhood's most popular restaurants, famous for excellent couscous and an incomparable ambiance, thanks to Omar and his jovial personality. Turn left and continue down rue de Bretagne until you arrive at an intersection where several streets meet: rue Vieille du Temple, rue de Turenne, rue Froissart and rue des Filles du Calvaire, not hesitating to take a left or right turn down any of the narrow streets that cross: rue de Picardie, rue Charlot, rue de Saintonge and rue Debelleyme. These streets are mostly residential with a variety of uzines (factories), grossistes (wholesalers), art galleries, boutiques and craftsmen on the street level. Many of these maisons (houses) are 17th-century and 18th-century, with a smattering of pierre-de-taille (cut stone) 19th/20th-century buildings, too. While rue Vieille du Temple is one of my favorite streets to stroll, I'll take you right on rue de Turenne instead, heading south straight for the Place des Vosges, a few steps to the left from the corner of rue des Francs-Bourgeois. It's not only Paris' most elegant square, but is the city's most expensive address. 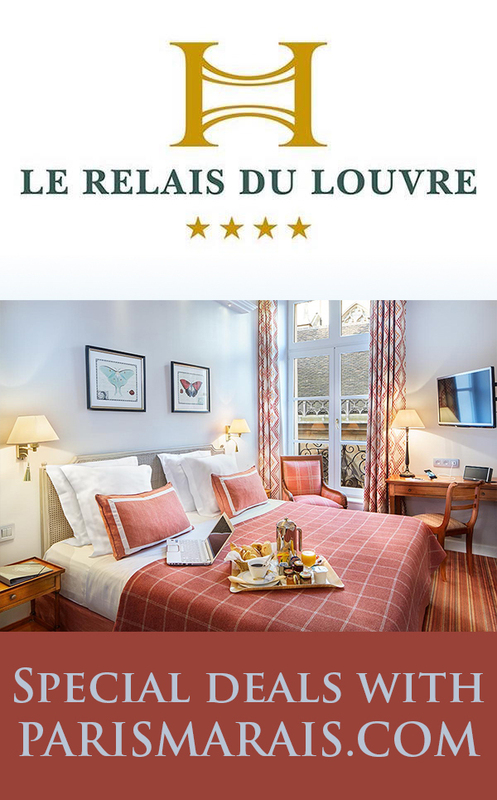 Circle it under the arcades, admire the shops, visit the House of Victor Hugo (number 6), have lunch, and duck into the magnificent courtyard of the Hotel Sully. It is impossible not to be enchanted. At the corner where the museums site starts rue des Haudriettes which will take you west to rue du Temple. If you turn left, you'll find the Musée d'Art et d'Histoire du Judaïsme in the Hôtel de Saint-Aignan at number 71 and if you take a right, then a quick left onto rue Montmorency, you will find the 15th-century house at number 51 (built 1407) of the legendary French alchemist, Nicolas Flamel, now a fine restaurant. 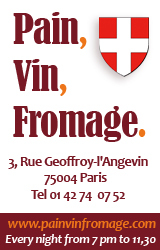 Circle the block to the parallel street, rue Chapon, behind the Flamel house to discover passage des Gravilliers and take it to rue des Gravilliers, a narrow street bustling with wholesalers. Just in front of you at the corner of rue des Vertus, a pedestrian street, is a 16th-century house with the classic angle of the side walls, from narrow at upper floors, usually no more than four, to wider at the first level. 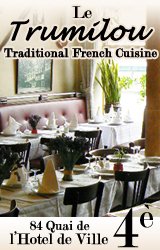 Rue des Vertus will take you north to rues au Maire and Volta. These two streets constitute a small "China Town" lined with Chinese restaurants, markets and merchants. At 5 rue Volta is a Tudor house rivalling the age of the Flamel house it's unknown as to which is actually the elder. A "Soupe Pho" restaurant occupies the street level space, and it's known to be quite good, but my favorite Chinese restaurant there is Chez Shen at 49 rue Volta. 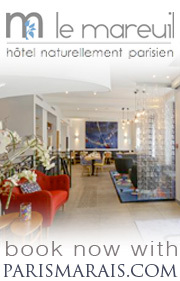 Chez Shen is a step from rue Beaubourg and the Conservatoire des Arts et Métiers at 60 rue Réaumur/292 rue Saint-Martin. Behind the museum, take rue Vertbois going east to pass one of Paris' finest, funkiest (too old-world to be true!) 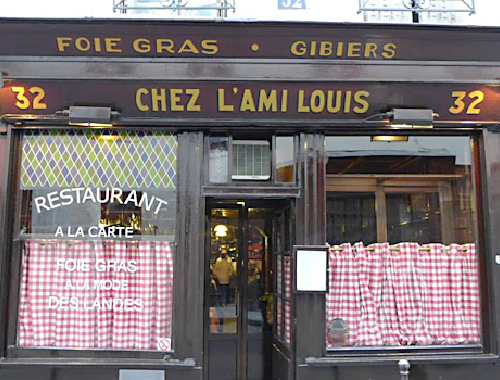 and expensive restaurants, Chez l'Ami Louis, at number 32. Past it to the next corner, take rue Volta to the left and up the stairs through passage du Pont aux Biches to rue Meslay, the longest street in Paris of wholesales shoe sellers. Take a right to arrive back at Place de la République. Of course, there are dozens of other streets and hundreds of other curiosities to discover along the stroll, if you have the time and wherewithal to leave no stone unturned. So, don't hesitate a moment to take all the time you want to venture into a courtyard, visit a museum, read a historical plaque or purchase mementos in the shops. And all the while, open your heart to the hundreds of thousands who have experienced Le Marais before you, whether for a lifetime or a fleeting moment. I promise, it will never leave you, even long after you've left it. 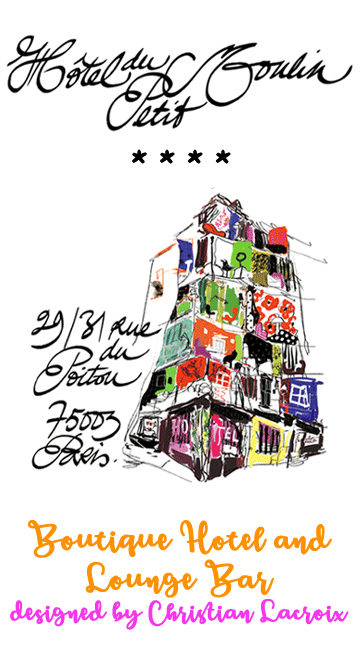 Rue Charlot is one of the most desirable street with its creative designer and chic boutiques.